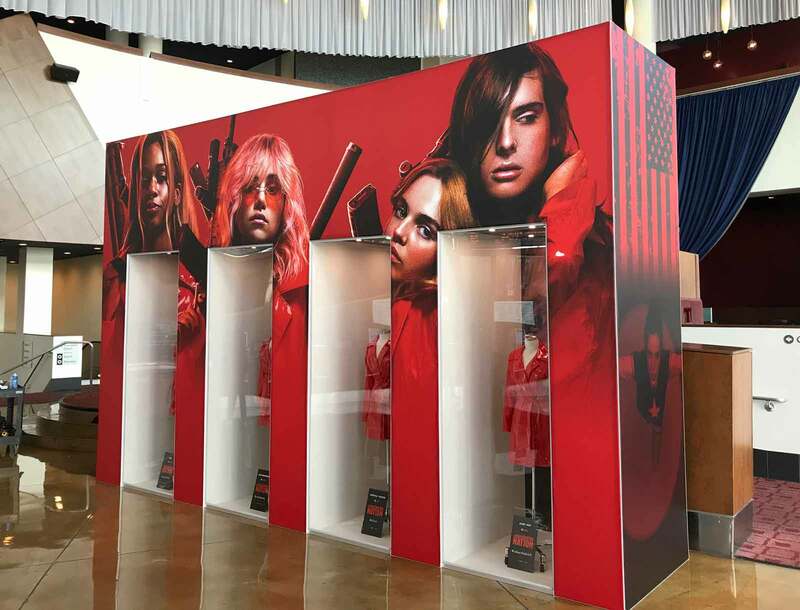 Assassination Nation is a thriller film that stars Suki Waterhouse, Anika Noni Rose, Bill Skarsgard, and Bella Thorne. It takes place in Salem, Massachusetts and shows how a computer hacker effects this sleepy town. The hacker exposes personal information of the town’s residents and makes them mentally unstable. The film premiered in January at Sundance but was later released in September of this year. Unfortunately, it got mixed reviews. Some liked it and hailed it as, “frenetic and visually stylish” but others criticized it’s script for being poorly written. 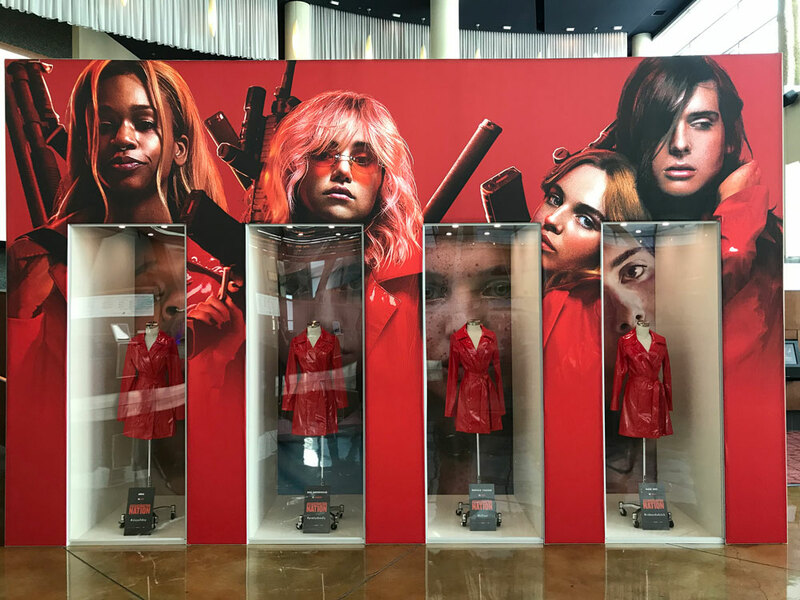 Olson Visual created a very large costume and prop display for the movie using their T3 System. 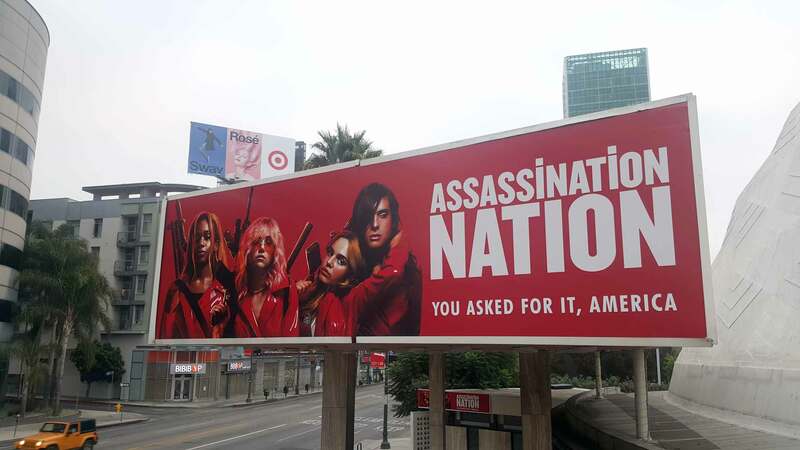 They also installed a billboard at the same location. 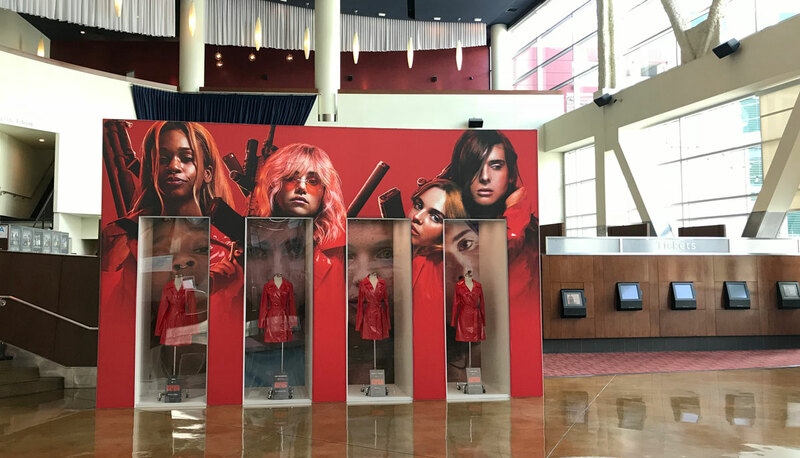 Check out these images of their work at Arclight Hollywood.